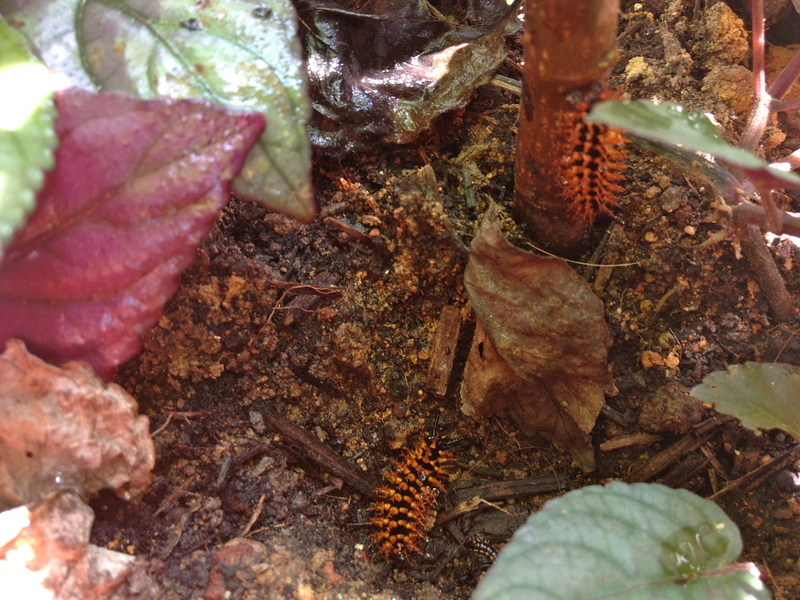 In our last week on duty in the Butterfly Garden we thought we found an egg!! Does this look like a butterfly egg to you? How could we find out? Later in the week, Quinn found another egg! Can you see it? 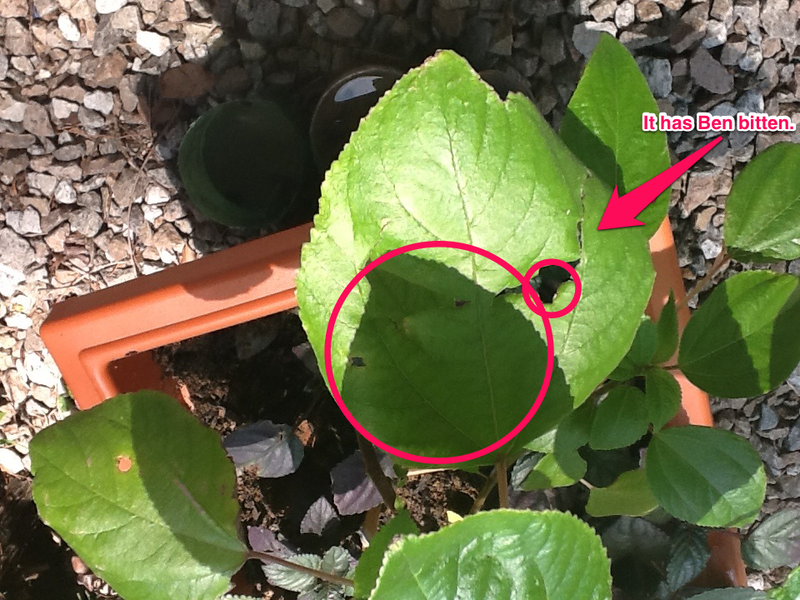 It's just under the leaf below the leaf with the first egg. We were so excited that this could mark the first real life cycle of egg to caterpillar to pupa to butterfly that we have seen in our garden! As usual, we were also busy this week clearing dead leaves and bits of rubbish from the pots, as well as water the plants. Some children children continued to use their Garden Notebooks to record their observations and theories through drawing and writing. We'll miss visiting the Butterfly Garden over the summer and look forward to checking on how it's doing when we return for Grade 2! 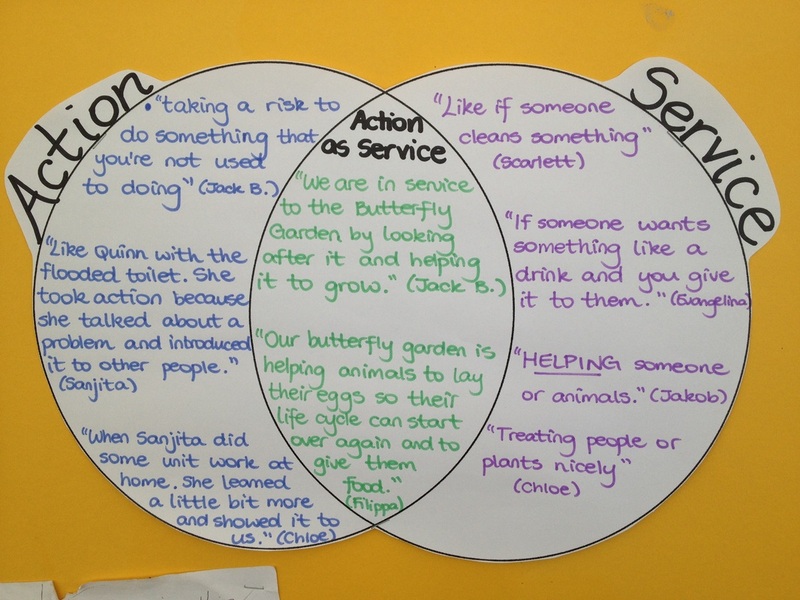 Our Butterfly Garden is our Action as Service project in Grade 1. We've had a lot of discussions this year about exactly what action, service, and action as service mean. We had some great ideas to start with and our understanding continues to develop and evolve. We're also doing a great job of using these words to describe choices and situations we observe in our day-to-day lives. Yesterday we went to the Butterfly Garden to check on our caterpillars. 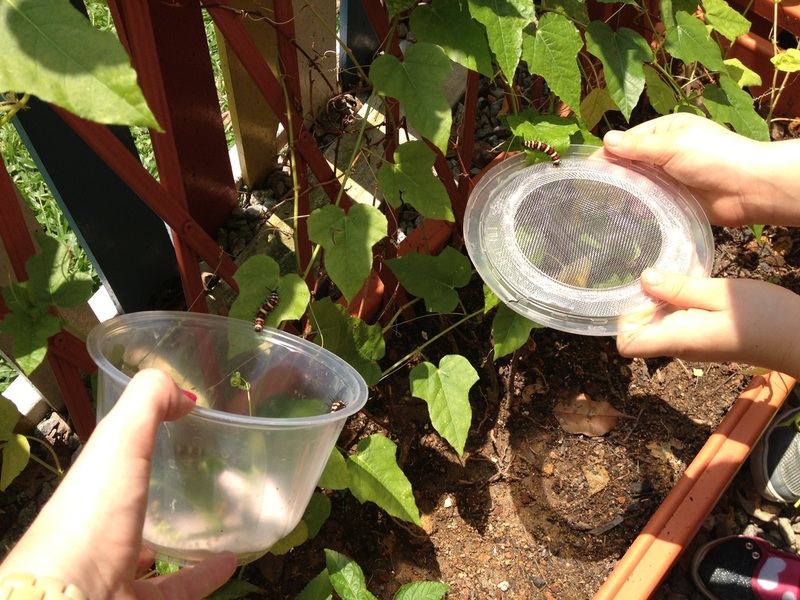 We discovered that a lot of the caterpillars that arrived yesterday were gone from the plant pots. The caterpillars finally arrived this afternoon and we couldn't be more excited! Though it was an EXTREMELY hot day, all of the Grade 1 classes collected outside to discover our new caterpillar friends and help them transition to their new habitat. This week is our turn to take care of the garden so we'll be keeping a special watch on the caterpillars. Stay tuned for updates! All week we have been caring for our garden. We have also been making reflections in our Garden Notebooks and with Skitch on the ipad. 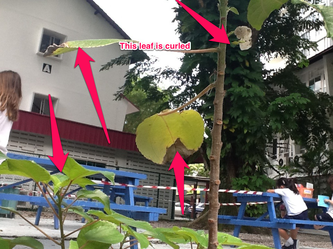 We saw things like a snail on one of the pots and we were worried because the snail could eat the plant. 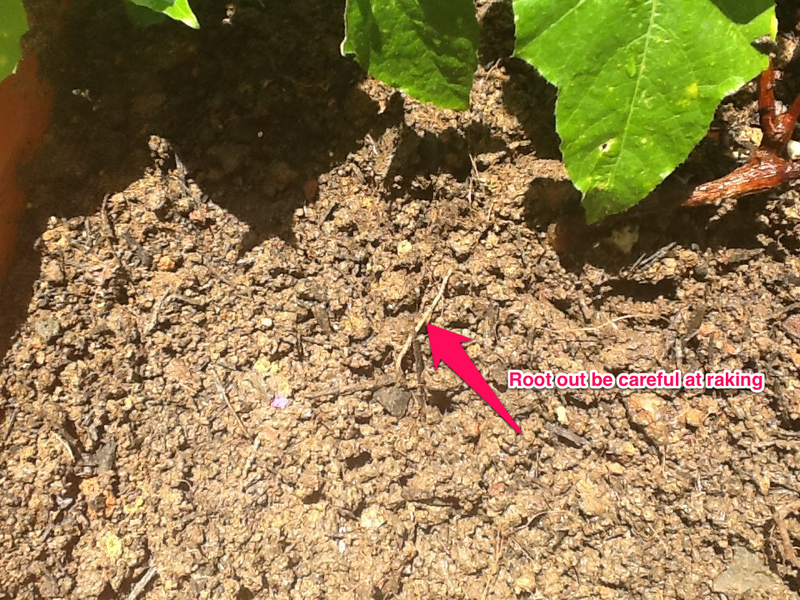 It is one of our plants pests that we're looking out for. 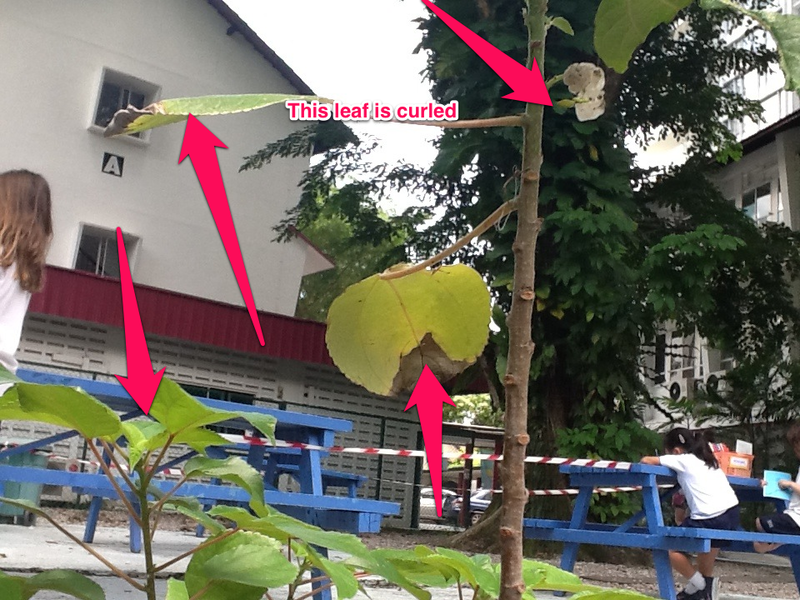 We saw curled up leaves. We even saw our first butterfly. It was flying away, but we think it was maybe black and white or brown and orange. We also noticed some dewdrops on some flowers. We also saw some dead leaves and we took them away from our plants and put them in a pile. Some people noticed that the leaves on the mulberry plants are a little bit sticky. 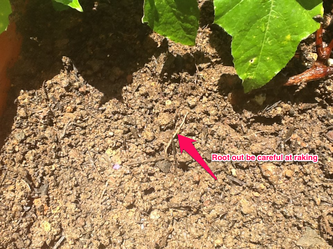 This week it is 1AC's responsibility to take care of the garden. Every day we've been watering the plants using our little red watering can. We've also been using our little shovels and rake to loosen the soil. We learned that we need to do this to prevent weeds and allow water to flow to the plants more easily. We also think that the plants are in a good spot where they're getting enough sunlight. The plants are looking very healthy! In February we invited our friends from Oh Farms to visit Grade 1 and help us build a butterfly garden! We learned all about soil, fertilizer, how to plant a plant, and the different plants that specific caterpillars and butterflies like. 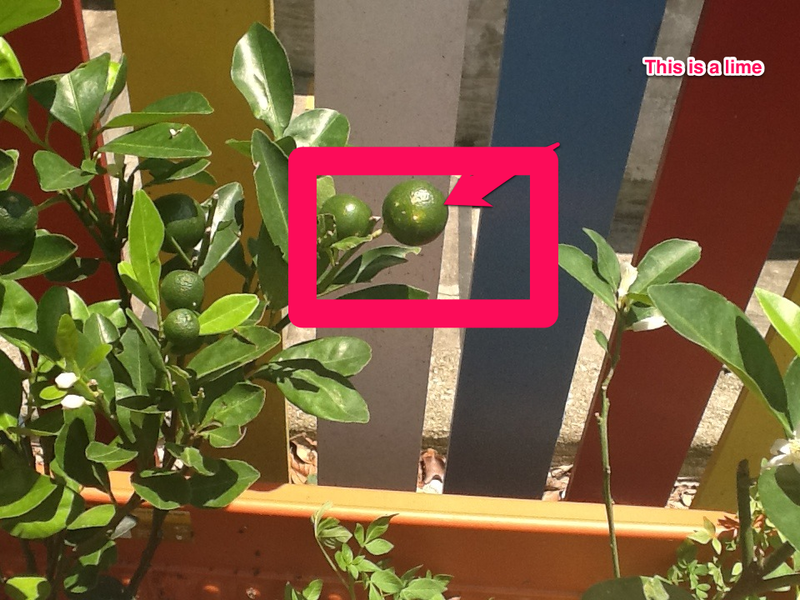 Since then we've been busy caring for our plants and making observations of the growth and changes that we see. 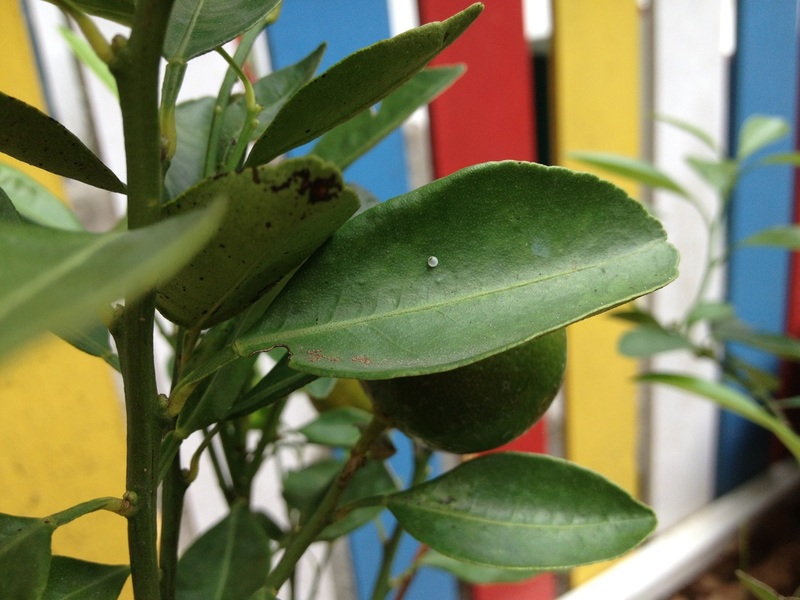 Stay tuned to our new Butterfly Garden blog page for more updates! 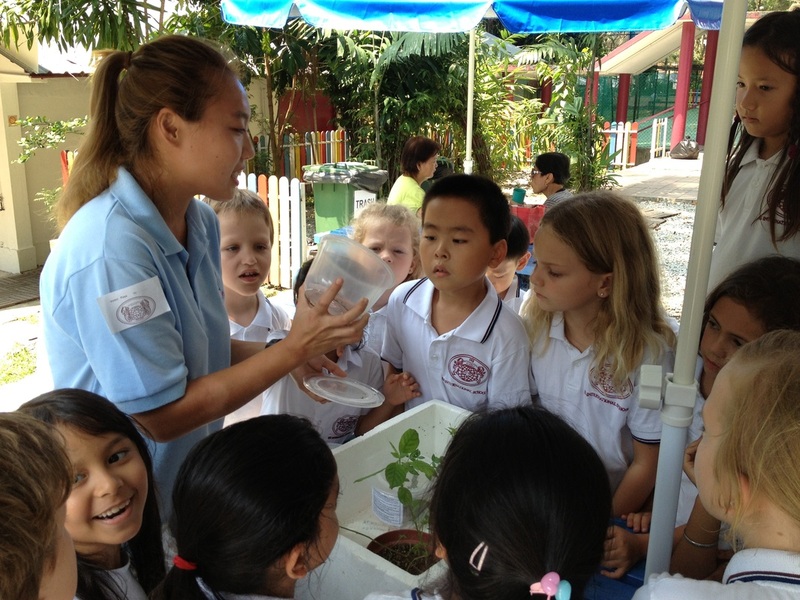 The Butterfly Garden is connected to Grade 1's Action as Service project from our 'How the World Works' unit about life cycles.